Get as much as you give (and a whole lot more)! Volunteers are the heart and soul of Ability Online. We couldn't and wouldn't exist without them. They come in all shapes, sizes and personalities, and they have a varied mix of life skills, roles and perspectives. Together, they contribute a vibrant diversity to our organization that makes it an exhilarating place to be. 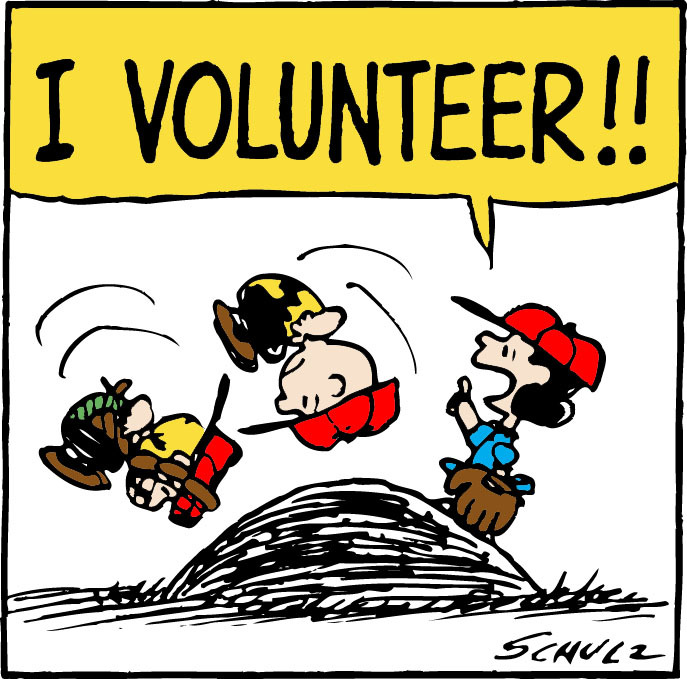 All of our volunteer opportunites qualify for community service hours. Unpaid student internships are also available for College and University student. Please contact the office for more information. Host - This is someone who watches over our online environment, is a resource for questions and concerns that may arise, and upholds the spirit of Ability Online during their watch. Please note that to be an online host, you have to have been an online member for a minimum of 6 months, and must be at least 16 years of age. We'll wait for you - don't worry! Mentor - The word actually comes from Homer's Odyssey. When Odysseus set out on his journey, he asked his friend, Mentor - a wise and experienced teacher to watch over his son, Telemachus. So, a mentor is an experienced adviser and supporter. At Ability Online, a volunteer mentor is someone to whom members can turn for specialized advice and support that comes from their life experience. Mentors have learned a lot, and lived to tell the tale! Friendship Mentor: Do you love to socialize? Then this is the position for you. Friendship mentors float around the different forums looking for messages that no one has respoded to yet. You reach out to others, be a friend, and keep the conversation going. Specialty Volunteers - Some of our specific online programs rely on behind-the-scenes volunteers to provide information and content and also answer member questions. Ambassador: We love when our members (youth, parents or professionals) tell others about our amazing online program and the opportunities available to our members to connect, share resources, or develop skills. And if you want to become more involved because you are as passionate about our program as we are, consider becoming an Ambassador for Ability Online. Our Ambassadors join us at our events to tell others about the impact the program has had on them. Donate your services: If you have expertise in a specific area, e.g. marketing, public relations, fundraising, web design and accessibility, we'd love your help. With only one full time staff person we rely on the expertise of our Board and other dediated individuals who want to contribute to the success of our program, and ultimately the success of our members to be the best that they can be! Event Volunteer - This is someone who is willing to lend their time and energy to being part of the team that organizes special events for Ability Online. We get involved in all kinds of different things from fundraising events to information displays at charity trade shows. You'll need stamina and a ready smile to take on these tasks! Committee Volunteer - This is someone who is particularly interested in bringing their skills to one of the Board committees, e.g. Fundraising, Marketing, Program Development etc. Good ideas and patience are useful here. For any kind of volunteering with Ability Online, the first step is to get to know us, and then decide what role you might want to play. For close encounters of the right kind, contact us at information@abilityonline.org or fill out our Volunteer Application Form. Orientations and training done over the phone and online. No travel required! !